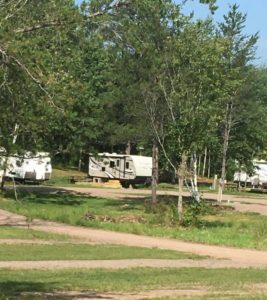 Camp Namekagon offers spacious seasonal campsites laid out in the woods. Enjoy our friendly atmosphere and personal attention when you stay with us. Camping starts the first weekend in May and continues into October. 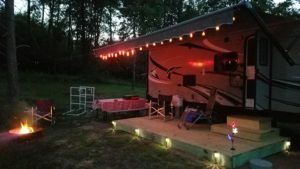 All sites include water, sewer, 50 amp electric, picnic table and camp fire pit. Seasonal sites are separate from our nightly sites. Call for more details. $1500/plus tax, electric is metered. New Wooded Seasonal Sites Available! Call 715-766-2277 for details.